Only a few more sleepless nights and the most important international League of Legends tournament of the year will spread its wings over the legions of fans all around the world: the 2017 LoL World Championship. This year the land of the rising sun will become the venue for the biggest showdown in 2017 and the 24 qualified teams of the LoL World Championship will once more place their fortune in the hands of former professional League of Legends personalities. Once again they will represent the lucky fairy at the upcoming group drawing ceremony and thus play a decisive role in the success and failure of some participating teams. Of course, once you've set yourself the goal of becoming the international Champion of season 7 you should be able to defeat any other team on Summoner's Rift but some paths are stonier than others and the League of Legends World Championship is tiring and consumes both physically and mentally the players' energy reserves. In contrast to the past years two separate draws will be held because the Play-In stage of the tournament is still pending before the main event. Both drawings will take place in the early afternoon of September 12th. Thanks to the strong performance of their champions at the Mid-Season Invitational Tournament 2017 this year's Summer Split winners of the regions South Korea, Europe, China and Taiwan/Hong Kong/Macao will be able to find themselves in the drawing pool 1. The group draw will be broadcasted as usual, you will find the possibility to enjoy the event right here on our website below. >> More information on the match schedule along with starting times at our LoL Worlds Schedule 2017 post. 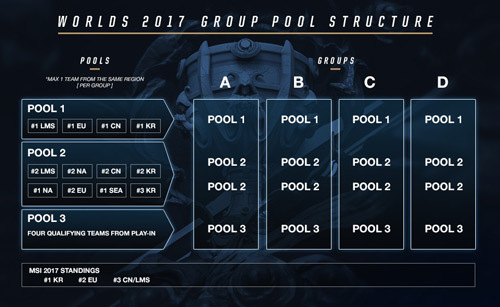 As in previous years the group draw mode is relatively simple: the 16 teams taking part in the group stage of the 2017 LoL World Championship are divided into 3 different pools depending on their performance in the regular season 7. After that these pools are drawn one after the other until there are no more teams left. The challengers will be drawn in such a way that no two teams from the same region will end up in one group. If this would happen the drawn team is simply moved to the next valid group. 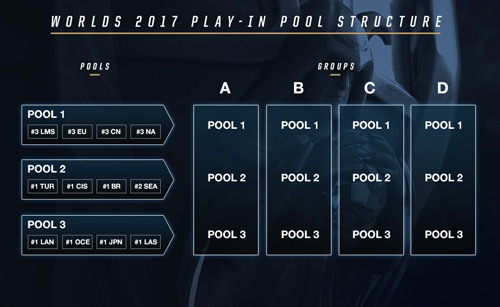 The last lucky pool is reserved for the four successful teams of the Play-In stage of the LoL Worlds 2017. The first pool of the LoL World Championships is the home of the Champions of the Summer Season 2017 featuring the currently most successful League of Legends regions: South Korea, Europe, China and Taiwan/Hong Kong/Macao. Longzhu Gaming from South Korea in particular is in top form at the moment and was able to beat reigning world champion SK Telekom T1 in the LCK Summer Split Finals. 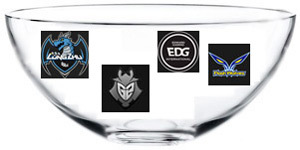 These four champions cannot meet each other in the group stage due to their stay in pool 1. Two teams from pool 2 and one from pool 3 will complete each group of the preliminary round. This year again the former World Champion SK Telecom T1 can only be found in the 2nd pool of the group drawing and will therefore make the group stage for a #1 seed of pool 1 very difficult. Of course, the team around Superstar Faker is once again considered to be one of the favourites for the title “Champion of Season 7”. 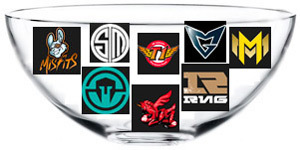 Due to the poor performance of the North American LCS at the 2017 Mid-Season Invitational the two best teams of the last split are only residents of pool 2. After the new tournament mode with an advanced Play-In phase for some of the lower teams has already been tested at this year's Mid-Season Invitational the novel mode is now also taking part in the League of Legends World Championship 2017. 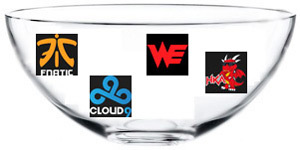 The four best teams of this Play-In stage will finally be found in the group drawing pool 3. Of course, the usual rules and restrictions apply here as well – one team from each region in each group of the group stage. The Play-In phase group draw mode is no different from the actual League of Legends Worlds group stage. Although there are only three teams in each group the drawing pools are dragged one after the other, starting with pool 1. 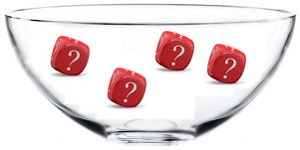 In contrast to the draw of the group phase there is no possibility for two teams from a region to be drawn into the same group since a maximum of one team from each region is participating in the Play-In stage of the event. A year ago the third-placed teams from Europe, North America and China would have started directly in the group stage of the League of Legends World Championship but this year they will have to fight their way through the Play-In phase. In addition the last large LoL region (LMS) from Taiwan/Hong Kong/Macau will receive an additional starting place for the LoL World Championships. Of course, the teams from pool 1 are the clear favourites for qualifying for the main event. If we take a closer look at pool 2 of the Play-In stage drawing two teams in particular are going to catch our eyes. The Gambit.CIS team and the Turkish team 1907 Fenerbahce have a large fan pool and have already gained international experience. The second pool is concluded by the teams Team oNe eSports from Brazil and Young Generation as #2 seed of the GPL region. 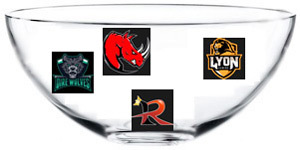 “Proud” may be a slight exaggeration but the four teams of drawing pool 3 are the current Summer Split Champions of their respective regions. You don't get to be the champion of the Summer Season if you aren't worth it and the teams of this pool are always good for surprises. Unfortunately the experience of recent years has shown us that these wildcard teams rarely put their mark internationally. To watch the draw of the LoL Worlds 2017 groups and Play-In stage live make sure to turn on the Live-Stream on September 12th , 14:00 CEST. Just click play when the stream is live and tune into the broadcast! The Group Draw Show poses as the final “preparation” before the tournament; it’s the opportunity for all of us to find out where our favorite teams will be allocated to. The primary purpose of the draw is to elevate the excitement and make us want to watch Worlds 2017 even more. 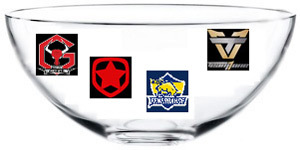 What most people like to do after the Draw Show is to make predictions, bets, and discuss the potential “fate” of all teams in particular groups. Based on the teams that qualified for the tournament, the group stage draw will, definitely, give us something to talk about.